Customer for this project find us on the beginning of 2013. From early start we understood, that agenda for work would not be very small. Among different variations of design, customer choose the version with photo background. Also after proposition of customer we make two big products in one row instead of four or five. For e-commerce we have used special plugin for wordpress to help us to solve that issue. 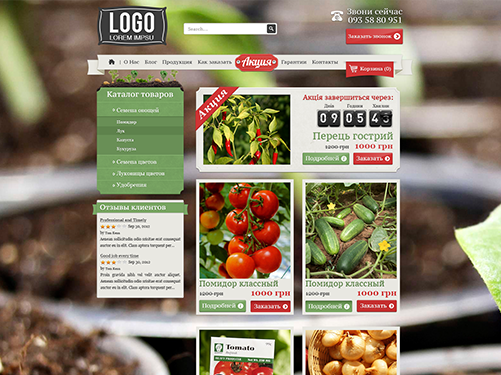 In conclusion with help of wordpress we released website with good functionality, and easy editable CMS.